Novelty will not cover cars imported from Russia. Prime Minister Yatsenyuk has initiated a bill to abolish the import duty on cars that were in use. "I want the Finance Ministry, the Economic Development Ministry and the State Fiscal Service to draft a bill and submit it to parliament to abolish the import duty on used cars. This should apply to all vehicles, except for those originating from the Russian Federation," Yatsenyuk told a cabinet meeting on Wednesday, 6 April. The prime minister expects the government to approve the bill on Friday. 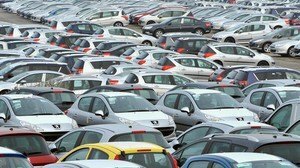 The import of used cars soared 3.9 times to 14,200 last year. Currently, the import duty on most vehicles stands at 10 per cent.